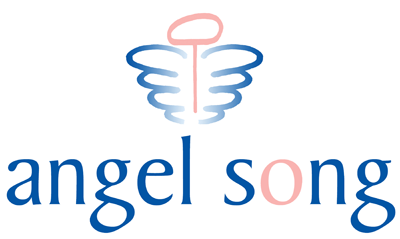 Angel Song is a high-end manufacturer of children’s chairs, adult rocker/gliders, chaise lounges, loveseats, crib sets, duvets sets, bedding sets, and much more! We offer fourteen different styles of children and adult chairs, seven different styles of chaise lounges and loveseats, and a plethora of bedding to fit any size bed in the home. With 38 different fabric collections and over 100 fashion Angel Song fabrics to choose from, you’d wonder why we also offer fabric redesign and Customer’s Own Material (COM). When Angel Song opened its doors for business seven years ago, there was a serious void for customizing top quality children’s chairs, adult rocker/gliders, and bedding. We took notice and have since become the premier manufacturer for custom chairs and coordinating bedding. Angel Song offers two ways to customize your customer’s products. The first is fabric redesign. We allow ANY of our fabrics to be rearranged in ANY manner on ANY of our products. The second way to customize is to take advantage of our Customer’s Own Material (COM) option. You and your customers can send in your choice of fabrics to be applied to any of our products. Angel Song offers unheard of turnaround time in the industry. Your custom piece will be finished 4-6 weeks after we receive the order. We can offer such a short lead time because we manufacture at our factory in California. All of our items are HANDCRAFTED by experienced craftsmen to ensure the highest quality possible. It is this mantra of quality and uniqueness that has separated Angel Song from the field and been applied to every facet of the business. Many Angel Song products have been featured in the media, including People Magazine, Cookie Magazine, US Magazine, Extreme Home Makeover, The New York Post, and Baby and Children Product News. This has attracted much national and international attention. Angel Song products are featured in stores and design centers worldwide and are constantly growing in popularity. Many celebrities have requested Angel Song children’s chairs and adult rocker gliders for the nursery and master bedroom.